UKIYO Publishing, in partnership with Rocketcat Games and Madgarden, have announced that the randomly generated, zombie-filled road-trip, Death Road To Canada, will launch on Nintendo Switch on April 25, 2018. It will be available for $14.99 / €14.99 / £11.99 with a 20% launch discount during its first two weeks of sale. Tipped off that Canada might just be free from the threat of zombies, the long, winding Death Road is all that stands between the player and their goal. Players will explore iconic sites such as Y’all-Mart and the Muscle! Bomb!! Gym!! !, meeting and recruiting a host of strange and bizarre companions along the way. 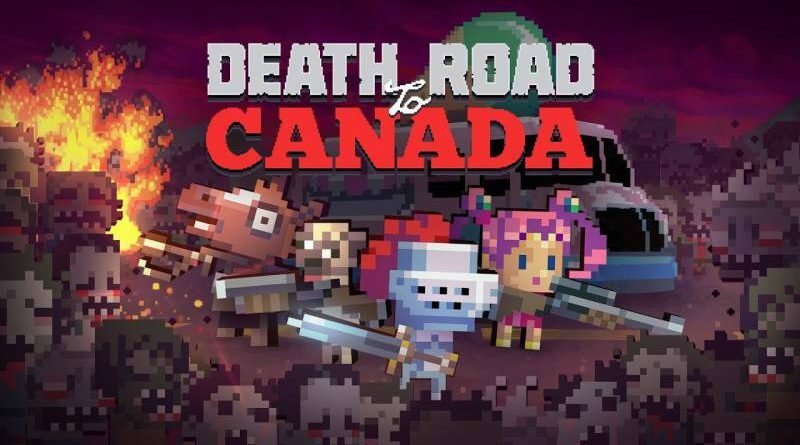 Unusually for randomly generated roguelikes, Death Road To Canada features a heavy emphasis on narrative, its Interactive Fiction events making or breaking friendships, all the while adding character-driven drama to the blood and guts chaos of combat.